Veterinary Practice in Schwarzpanierhof offers all prophylactic, diagnostic and therapeutic services of an up-to-date veterinary facility, including inpatient admission and outpatient services in different medical specialties (opening hours | route map). Personal care and individualized treatment plans for each and every animal as well as the thorough follow-up with patients characterize our work. We are accessible by phone 24h and able to be on site within a few minutes. For appointments (as well as short-term change requests or possible cancellations) please call our mobile nummer 0043-699-10481906 (see also: What makes the difference?). Almost all surgeries including their monitoring and aftercare can be carried out on the spot (partly effected by one of our consulting vets – see the lateral menue bar “Team”). 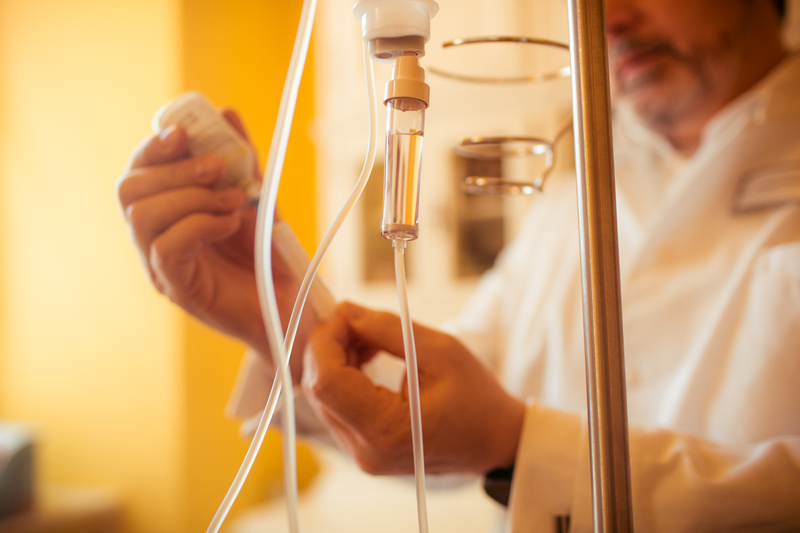 The use of modern anesthetics largely prevents from unwanted incidences. In our practice, it is standard that a team of at least two – oftentimes three – vets performs an operation. For each patient and each surgical intervention, we keep an anesthesia record. The combination of intravenous and inhalation narcosis is carried out as effective as necessary and as preventive as possible. Normally patients leave the practice awake and walking after surgery but it is just as well possible to leave the animal on site for medical after-care and in-house treatments if necessary. All our medical devices fulfil the most recent technological standards and are constantly maintained. The K-laser offers a new and non-invasive way of physical therapy. Laser beams are able to accelerate the self-healing powers of tissues. They have a direct impact on the repair mechanisms of cells by activating intracellular energy transfer through adenosine triphosphate (ATP). The area of application of the K-Laser ranges from acute problems after traumata and operations (skin and nerve damage, bone fractures etc.) over infections of the ear, the mouth and the gum (otitis, stomatitis, gingivitis) up to the treatment of poorly healing wounds. Acute or chronic pain of the musculoskeletal system – particularly in older animals (athritis, athrosis, spondylosis etc.) – is another promising indication, because concomitand medication can be reduced in dosage and duration. Dermatology and allergy testing are fields of special interest. 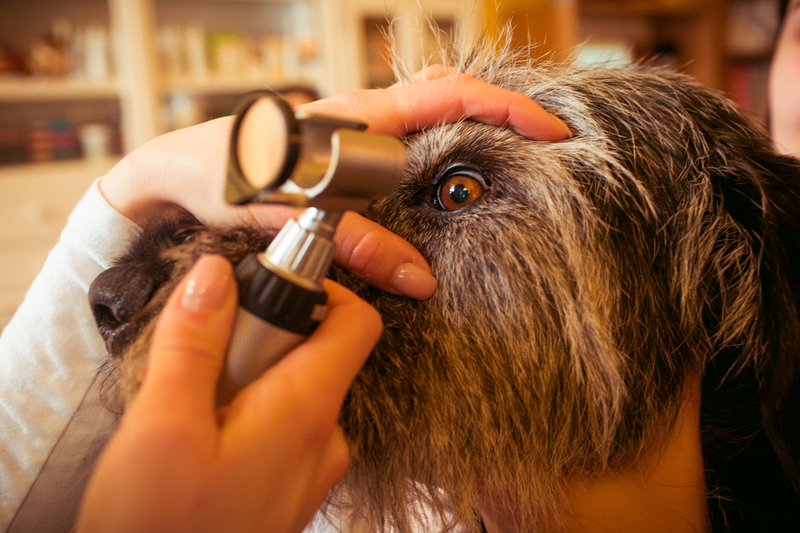 Cases of skin diseases and intolerances that make an impact on the skin and its dermal appendages often do not see a vet before the characteristic primary lesions have given way to secondary infections. A sound diagnosis leads to effective treatment – this requires patience, experience and an appropriate equipment. In this field, we serve as a referring partner for veterinary colleagues. 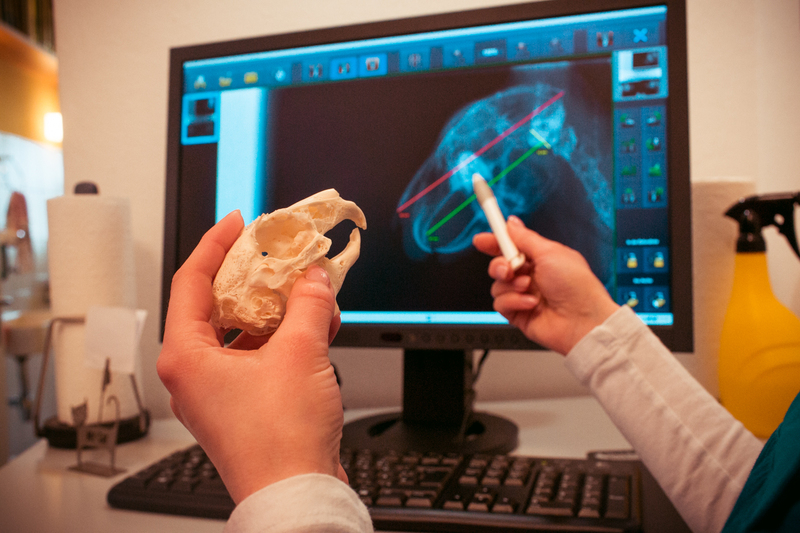 Our vet practice’s approach is not only academic but also holistic. 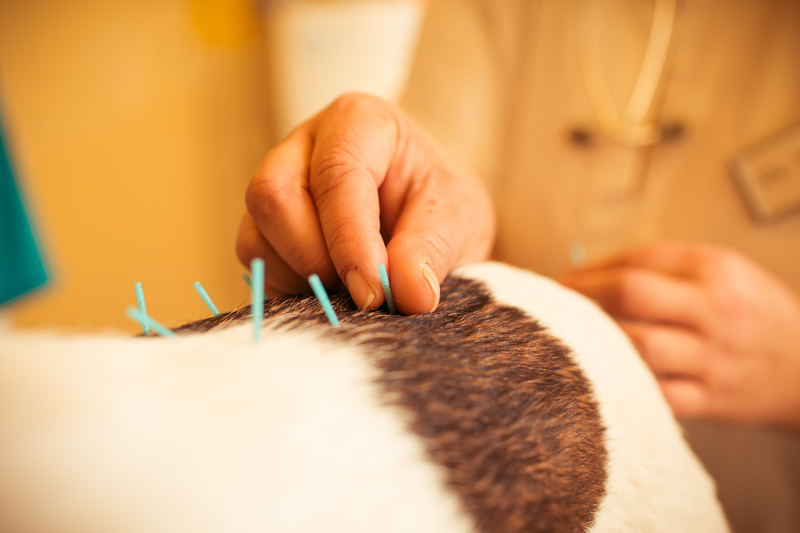 Whenever appropriate, we offer alternative therapies with little side effects. Like in human medicine vaccination today is standard carein preventive vetenary medicine. Active immunization can nowadays protect animals from many severe infectious diseases. By request you may obtain all currently available veterinary vaccines in our practice. However, not every vaccination is actually necessary and reasonable. On-site titer analysis enables individual adjustments and may thus prevent the animal´s immune system from an unnecessary burden. Our vaccination plans are oriented to the legal frameworks on the one hand and to the environment, the keeping conditions, the age and the immune competence of each animal on the other hand. Some vaccinations are statutory when crossing borders with animals (International/EU Vaccination Certificate). The variety of possibilities and country specific regulations can be quite irritating for pet owners, which is why we offer to generate an adequate vaccination program together with our clients. The practice runs a well-stocked veterinary pharmacy. You may obtain prescription as well as OTC drugs for your pets directly in the practice at public pharmacy price levels. We obtain medicinal food for dogs and cats from different distributors. There is a selection of a wide variety of tastes in wet or dry forms available. Depending on the disorder, allergy or intolerance from which our patients suffer, we can tailor their nutrition according to their individual needs. BARF is a US trend that also attracts many dog owners in Europe. (= Bones And Raw Foods) BARF means feeding close to nature: raw meat, bones and intestines, as well as vegetables and grains. BARF is the best of high quality organic farming; we may be able to advise you on different diet plans. On demand, we refer to professional trainers and care takers for dogs and cats (see also: (“Why do animals need humans?”). 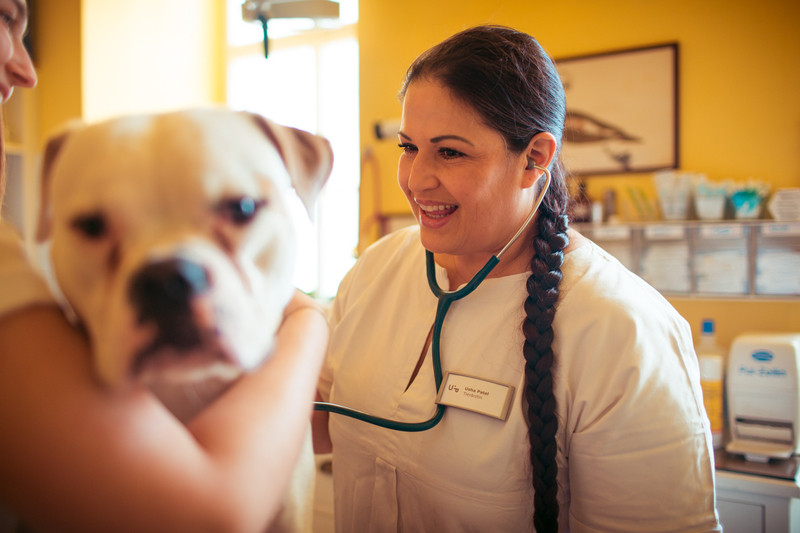 Our patients are all companion animals, mainly dogs and cats. In some respects we may also look after your horses (preventive medicine, dermatology, acupuncture, laser treatment a.o.). In the urban surroundings rabbits and rodents are very popular too. That is why we pay special attention to them and offer once a week rodent´s consultation hours (see also: When are we on site?). Species appropriate keeping and feeding are critical factors for these animals in order to prevent misaligned teeth resulting in dyspepsia – please make use of our advice!